Click the icon to open the app. 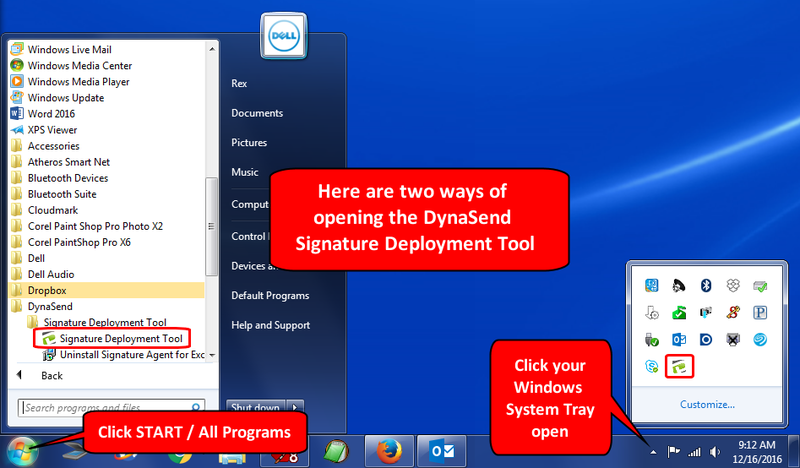 Note: If you can’t locate the “D” icon, you probably do not have the desktop app installed. If you want to install it now click here for instructions. After 15 seconds or so you should see a message telling you that the download is complete. Click “OK”. Note: If your signature does not download successfully, verify that you have your email address entered correctly in the app - it must match the email address used when creating your signature via our online portal. Close the app, and restart Outlook. Click “New Message” and see if your signature (or updated signature) appears. 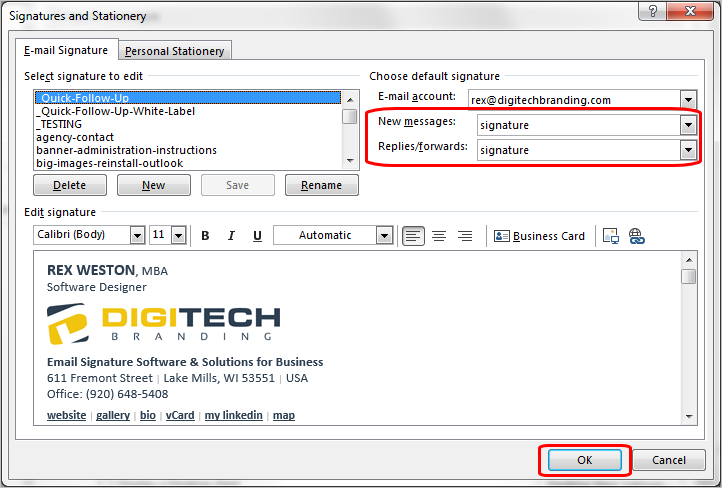 Return to your inbox and click “New Message” and you should now see your updated signature.